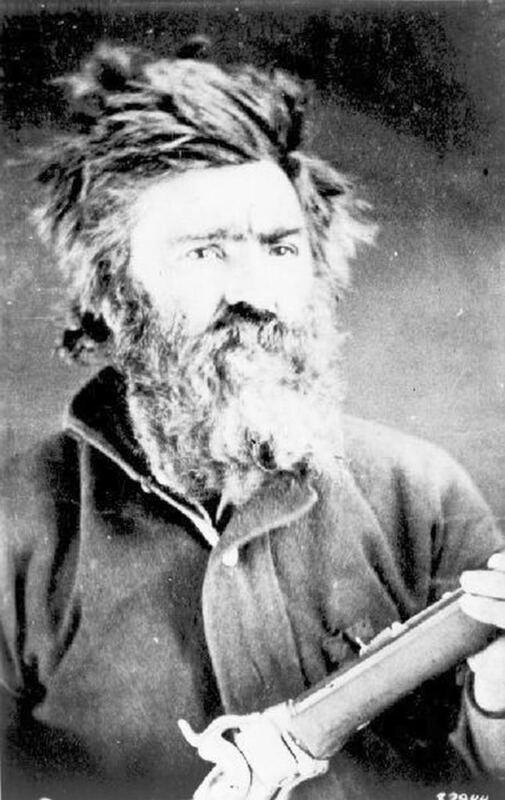 John "Liver-Eating" Johnson born John Jeremiah Johnston (c.1824 – January 21, 1900) was a mountain man of the American Old West. Johnson is said to have been born with the last name Garrison, in the area of the Hickory Tavern between Pattenburg and Little York, near the border of what is today Alexandria and Union Townships in Hunterdon County, New Jersey. During the Mexican–American War he served aboard a fighting ship, having enlisted under a false age. After striking an officer, he deserted, changed his name to John Johnston, and traveled west to try his hand at the gold diggings in Alder Gulch, Montana Territory. He also became a "woodhawk," supplying cord wood to steamboats. He was described as a large man, standing about six feet two inches (1.88 m) in stocking feet and weighing in the area of 260 pounds (120 kg) with almost no body fat. Rumors, legends, and campfire tales abound about Johnson. Perhaps chief among them is this one: In 1847, his wife, a member of the Flathead American Indian tribe, was killed by a young Crow brave and his fellow hunters, which prompted Johnson to embark on a vendetta against the tribe. According to historian Andrew Mehane Southerland, "He supposedly killed and scalped more than 300 Crow Indians and then devoured their livers" to avenge the death of the wife, and "As his reputation and collection of scalps grew, Johnson became an object of fear." The legend says that he would cut out and eat the liver of each man killed. This was an insult to Crow because the Crow believed the liver to be vital if one was to go on to the afterlife. This led to him being known as "Liver-Eating Johnson". The story of how he got his name was written down by a diarist at the time. 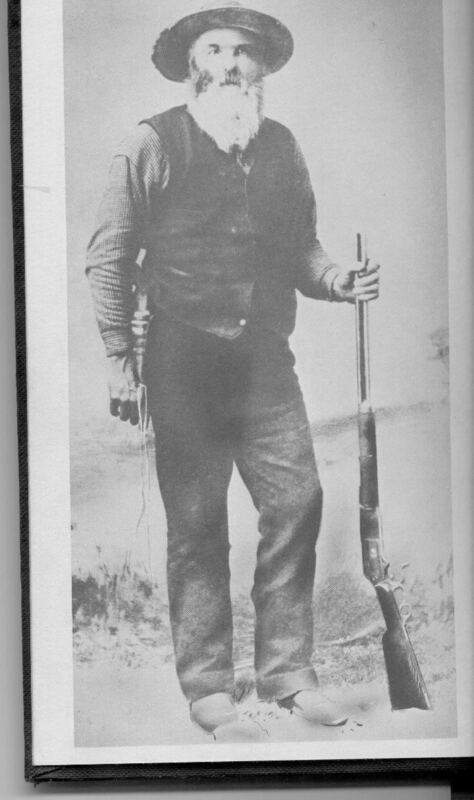 There were three Johnsons ("Pear Loving Johnson", and "Long Toes Johnson"), nicknames were commonplace, and with Johnson's show of eating the liver, he received his name. One tale ascribed to Johnson (while other sources ascribe it to Boone Helm) was of being ambushed by a group of Blackfoot warriors in the dead of winter on a foray to sell whiskey to his Flathead kin, a trip that would have been over five hundred miles (800 km). The Blackfoot planned to sell him to the Crow, his mortal enemies, for a handsome price. He was stripped to the waist, tied with leather thongs and put in a teepee with only one, very inexperienced guard. Johnson managed to break through the straps, then knocked out his young guard with a kick, took his knife and scalped him, then quickly cut off one of his legs. He made his escape into the woods, surviving by eating the Blackfoot's leg, until he reached the cabin of Del Gue, his trapping partner, a journey of about two hundred miles (320 km). Eventually, Johnson made peace with the Crow, who became "his brothers", and his personal vendetta against them finally ended after 25 years and scores of slain Crow warriors. The West, however, was still a very violent and territorial place, particularly during the Plains Indian Wars of the mid-19th century. Many more Indians of different tribes, especially but not limited to the Sioux and the Blackfoot, would know the wrath of "Dapiek Absaroka" Crow killer and his fellow mountain men. The above information is based upon the yarns and tales told over and over through the years. The accurate story is told in the diaries of Lee and Kaiser, who were on the Missouri River in 1868 when Johnston was given his moniker, after a rainy fight with the Sioux. 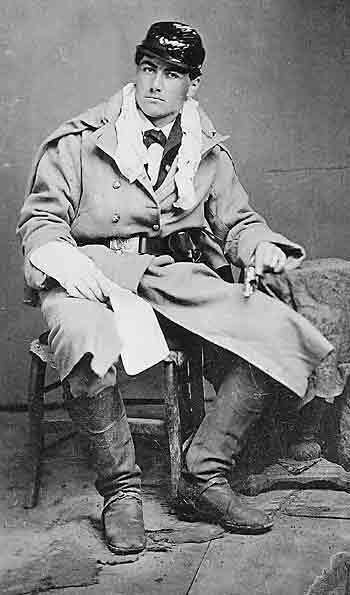 He joined Company H, 2nd Colorado Cavalry of the Union Army in St. Louis in 1864 as a private, and was honorably discharged the following year. During the 1880s, he was appointed deputy sheriff in Coulson, Montana, and a town marshal in Red Lodge, Montana. He was listed as five foot, eleven and three-quarter inches (1.82 meters) tall according to government records. In his time, he was a sailor, scout, soldier, gold-seeker, hunter, trapper, whiskey-peddler, guide, deputy, constable, builder of log cabins, taking advantage of any source of income-producing labor he could find. His final residence was in a veterans home in Santa Monica, California. He was there for exactly one month before dying on January 21, 1900. His body was buried in a Los Angeles veterans' cemetery. However, after a six-month campaign led by 25 seventh grade students and their teacher, Johnson's remains were relocated to Cody, Wyoming in June 1974. Crow Killer: the Saga of Liver-Eating Johnson by Raymond W. Thorp and Robert Bunker (1958) Indiana University Press, Bloomington, Library of Congress catalog card number: 58-8120 (a possible later version/printing (1969) ISBN 0-253-20312-0) The annotated biography, compiled from interviews with people who had actually known Johnson, with footnotes. Johnson is referred to as a character in 'Riverworld', a fictional universe and the setting for a series of science fiction books written by Philip José Farmer.